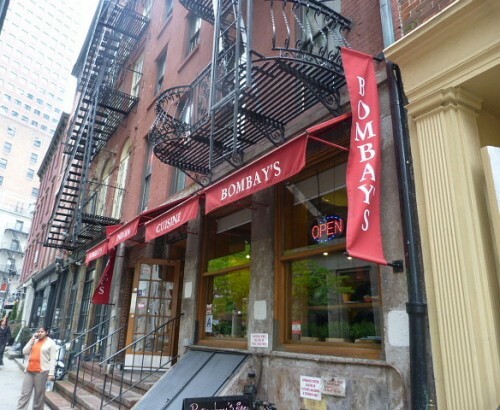 In addition to steam table lunches, Bombay’s on Pearl St. (btw. Coenties Slip & Broad) offers a few other items that aren’t commonly seen at competing spots like Diwan E Khaas. They sells good kati rolls, and also a couple of Indian snacks. And then there’s the Indian fried chicken on the menu. I’d been curious about it, and decided to bite the bullet and see how this fried chicken was anything like Korean fried chicken or just the regular sort. 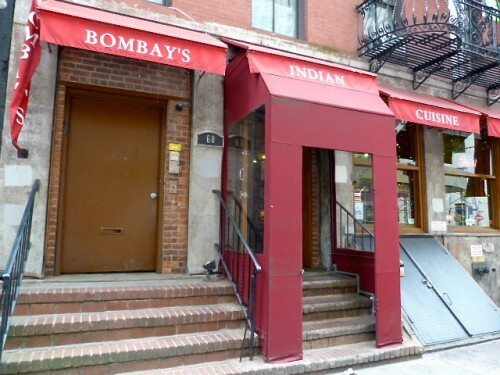 Posted by Andrea H at 10:00 am, May 8th, 2013 under Bombay's, Financial District, Fried Chicken, Indian. A string of restaurants on the bottom part of Maiden Lane between Gold St. and Water St. remain closed after being flooded more than a month ago during the hurricane. When I walked down the strip yesterday, little had changed from a week ago except that Chipotle had reopened and was absolutely packed. There was work being done behind papered up windows at Potbelly, but otherwise, your favorite lunch spots remained dark with no signs of renovation. 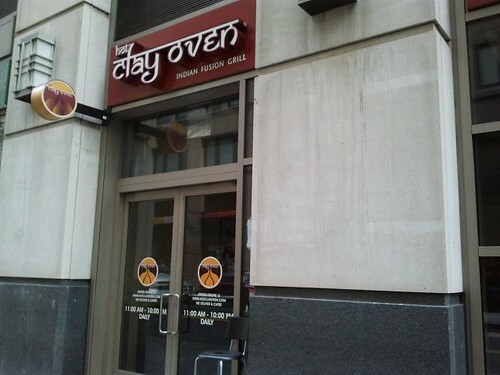 Posted by Andrea H at 10:15 am, November 29th, 2012 under Bombay's, Financial District, Hot Clay Oven, Nio's Trinidad Roti Truck. If you work in the Financial District and have a craving for kati rolls where do you turn? 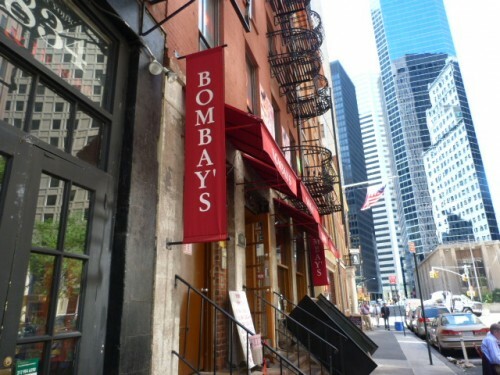 Up until last week I thought the only options were a couple of carts at Liberty & Broadway – Bombay Biryany and Biryani House – where you can get street meat chicken or lamb gyro put into paratha with standard street cart sauces. The price is right at $5 or $6 for two of them, but they weren’t anything special, and I’d rather get the namesake dish or street meat from either of these carts. Profiled Lunch’er Yury asked where to get the best kati rolls downtown, and all of the suggestions came from Murray Hill or Greenwich Village where they’re more abundant. I remembered seeing kati rolls listed on the menu at Bombay’s on Pearl St. (btw. Coenties & Broad) but hadn’t got around to actually eating one. Well, I finally did, and I don’t know if my expectations were really low, but the chicken tikka one I tried got me all kinds of excited. Posted by Andrea H at 9:30 am, May 9th, 2012 under Bombay's, Financial District, Indian. Posted by Andrea H at 9:30 am, August 31st, 2011 under Bombay's, Financial District, Indian, Vegetarian.